"Nautilus are extremely versatile and work to a high standard. They also advised and offered help with any other questions I had"
What we do and how we work depends entirely on what you need. We can provide a full turnkey service – everything from design to handover. Our long experience of working this way for a diverse range of clients means we take the hassles and headaches off your hands, leaving you to focus your energies on your project’s more exciting elements. None of this, incidentally, involves any surprises. When it comes to design Nautilus have recently expanded the possibilities even further by embracing VR technology; enabling clients to virtually experience their planned projects before they’ve even been built! Please get in touch for more details. If this doesn’t sound like what you need, however, we’re equally happy to consult, advise or help with any one-off aspect of a project, whether it’s enclosure design or repair, for example, or maintenance and planned upgrades. Although we never stop learning, the last 17 years have taught us an enormous amount about aquaria, so why not benefit from our experience? From small mobile touch pools to brand new builds for large public projects, we cover aquaria from A-Z and back again. Alongside the complete and finished article, we also offer expert input on any related aspect. 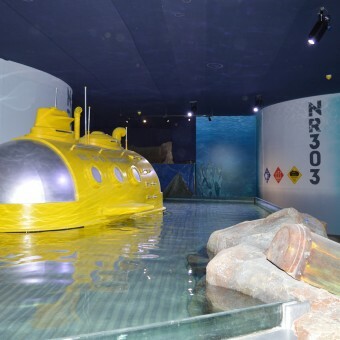 So apart from theming, we specialise in design and build of Life Support Systems, glazing of tanks of any size, including walk-through tunnels, as well as tank- building, mural-painting and the design and installation of lighting. We pride ourselves on creating habitats and environments which perfectly meet their inhabitants’ needs. 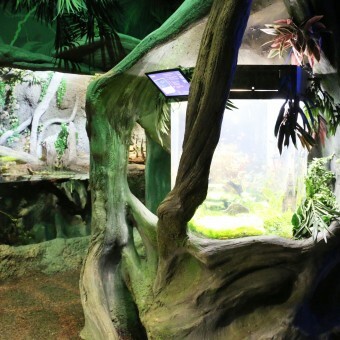 These habitats, obviously, must be sympathetic and non-toxic, as well as easy to maintain for staff and attractive showcases for the exhibits, whether that involves water features and planting, or natural and architectural theming. Sea lions, seals, otters, penguins, turtles and crocodiles are just some of the demanding tenants whose housing needs we’ve recently met successfully. As with all our work, we’ll be guided by you. If you have a design in mind we can work with you to realise it, or, if you prefer, we can work the whole thing up from design to completion. Likewise, we can help as much as you need with the crucial, unseen elements, such as Life Support Systems and plant work. Whatever the size of pool or tank, we can either come and build it where you are, or on our own premises and bring it to you. Size is no object, at either end of the scale. Murals are more than mere decoration. The kinds of mural conjured by our scenic artists turn a wall into part of the display, extending its effect and giving the illusion of space. Their singular expertise means a 2D backdrop can become a 3D theme, providing a seamless authentic experience. Perhaps there’s a replica of something which we can supply, off-the-shelf, from our range of artefacts. 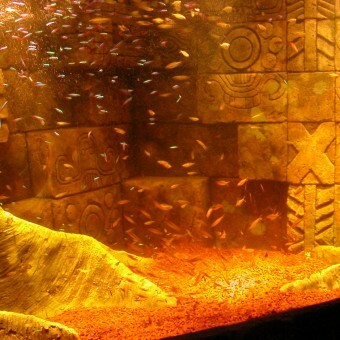 Or maybe you’d prefer us to create something truly life-like and unique to add to your exhibit’s wow-factor. And rest assured, if it’s something we can’t currently lay our hands on, our talented sculptors love creating to order. 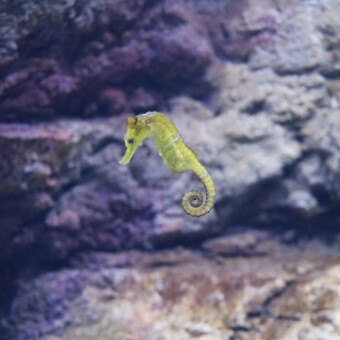 Our expertise with a variety of media means we can supply something just right for underwater, outside or an animal enclosure. And our wealth of experience means you can be confident that what we supply will be just what you need. 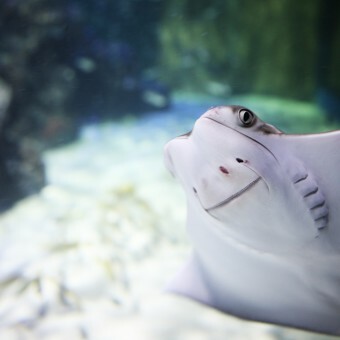 We have an in-house LSS specialist with over 15 years’ experience in both designing and operating large-scale systems in public aquaria and animal enclosures. This means we can solve whatever LSS problems you might have, whether designing, creating and installing something from scratch, or maintaining, troubleshooting or repairing an existing system. Nothing fazes our glaziers. Something small just to look through? 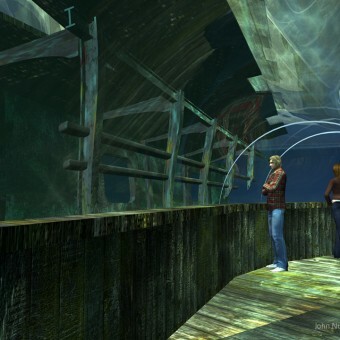 A larger panel, a walk-through tunnel, a floating, glass-bottomed walkway or raft? None of this is a problem - our team is as happy working with glass or acrylic. And, if necessary, we’ll liaise with your project team to make sure this aspect of your project is accurately designed to accommodate the installation of the specified panels. The skills we’ve amassed in all the time we’ve been doing this mean we offer reliably high levels of support to quickly sort out any issues. If you have poor water quality, a leaking tank or equipment that needs to be replaced or repaired, we have an expert who can help, whether by phone or by turning up on site to make a full report. We pride ourselves on being able to offer ‘the whole package’ - a full turnkey project, from conception to completion. We are able to provide a full planning service, from the initial drawings and artistic impressions to full immersive VR projects and 3D models and CGI ‘walkthrough’ designs. Contact us on info@nautilus-uk.com for more information!